Oracle server consists in a complete set of application constructors and products for users, with the one and only purpose of ensuring complete solutions in the information technology. Oracle applications are portable over a large number of work stations and operating systems, from personal computers to parallel processors. Oracle server is fitted with a flexible management system for databases, which is very good for the stocking and management of the information used by the applications. Oracle server is the most advanced server of Oracle and it leads a database with all the advantages of a relational structure. It also has the ability to stock and execute database typed objects, like procedures and safety mechanisms. The Oracle server has a DBMS that controls the stocking of data, recovering of data through adequate optimization techniques, security of the databases and tasks allowed for particular users and consistency and protection of the data, including task archiving and search engines. The communication and integrity of information when the database is distributed in a network is also one of the strengths of Oracle server. The Oracle applications must be run on the same computer with the Oracle server. Alternatively, the applications and the utilities they use may be run on a local system for the user, while the Oracle DBMS runs on another. 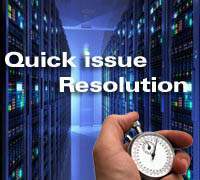 In this client - server environment, a large amount of resources may be run. For instance, an Oracle Forms application can run on a personal computer, while the access of data is conventionally led by an Oracle Server on a central computer. On the other hand, DB2 Universal Database is a relational database that represents a good choice for any application that involves e-Commerce, Information Integration and Business Intelligence. DB2 has powerful abilities of auto configuration and auto optimization and provides a set of utilities for integration in any type of applications and systems. Also, interconnecting with other databases is not a mystery for DB2. According to the necessities for the customers' available budgets, there are more versions and option of license. From all of them, DB2 Universal Database Express is the database created for small and middle institutions, available for both Linux and Windows. DB2 is product of IBM. IBM has own operating system called AIX and own hardware. After took over of SUN, Oracle has now onwards own operating system called Solaris and own hardware too. IBM is brand leader in hardware and storage. Oracle is brand leader in Oracle database server, Oracle e-business suite, Oracle data mining, peoplesoft, Iflex and more products. Oracle acquired Sun Microsys and all Sun Solaris hardware and operating systems are under Oracle. Price comparison of both database server, Oracle is more costly than DB2. Object wise comparison is same in both RDBMS. Means triggers,functions,tables,bitmap indexes,btree indexes,PL/SQL etc are in same in both Oracle server and DB2. 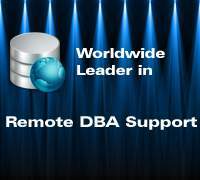 As per Database Administration point of view and DBA earning point of view Oracle DBA earns more than IBM DB2 DBA. 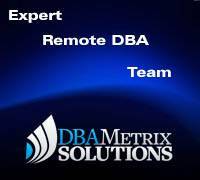 Database Administration is easy in IBM DB2 than Oracle Database.Off course, remote dba services is available for both databases and expert remote dba earns more for both databases. In popularity factor, Oracle is more popular than DB2. Learning Oracle is easy because you can find out more resources for Oracle server. But learning DB2 is difficult because not more resources are available for knowledge base. Standard SQL version used by both RDBMS, due to this reason I don't think any difference in basic SQL commands. Yes off course some unique SQL utilities are being different in DB2 and Oracle database. IBM DB2 UDB was specially created to support features of Business Intelligence directly in the database. 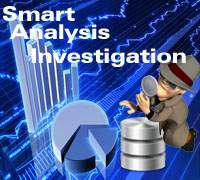 These abilities include data mining, ETL, OLAP and other advanced space features of analysis and statistics. According to IDC, Oracle Database is number one on the management systems of relational databases market, followed by IBM DB2. 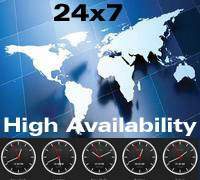 In 2009, analysts declared that IBM DB2 9.7 shook this market by the compatibility with Oracle. It is the fact that the new DB2 version has many new characteristics that are extremely familiar to the Oracle Database users. 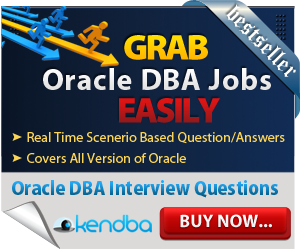 Basically, those who can successfully deal Oracle Database may just as well work with DB2. DB2 actually used Oracle as a climbing ice ax and then left them behind. Currently, it is the best scales database that works with Linux. 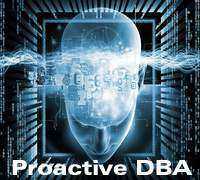 Although in DB2 it is very likely to face some of the Oracle characteristics, in order to get the result of a particular function you may need to do it through various ways. Above some differences are visible of Oracle database and IBM DB2 database, due to this reason comparison is becoming easy. May be possible some important points are missing out. If find any missing important comparison factors kindly inform us.